LG has announced another Android smartphone, the device is a smaller version of the LG G2, the LG G2 Mini, and the device will be shown off at Mobile World Congress next week. The LG G2 will feature a 4.7 inch display which has a qHD resolution of 540 x960 pixels and will come with Android 4.4 KitKat, the device will come with a choice of two different processors. The G2 Mini will be available with either a Qualcomm Snapdragon 400 processor or a Nvidia Tegra 4i processor, the handset will also come with 8GB of built in storage. 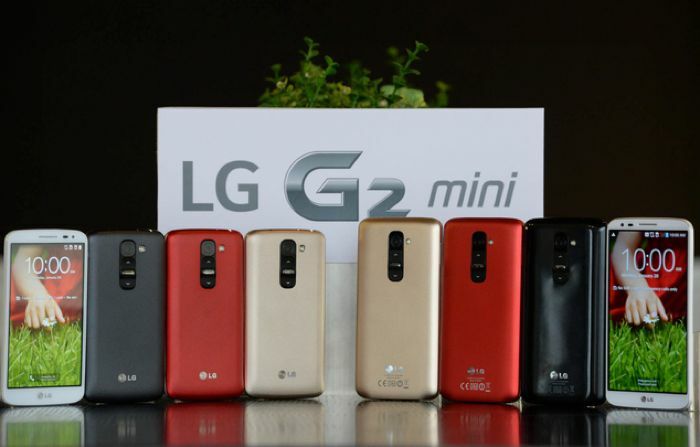 The LG G2 Mini will feature an 8 megapixel camera, a microSD card slot for expansion, and a 2,440 mAh battery, the device will apparently come with LG full suite of software that is available on the G2. The LG G2 Mini will apparently be launched in March in Russia, and then in Europe, Asia, Latin America and the middle east, we should have more information on the handset next week.